“I got into science communication to change the perception of scientists. 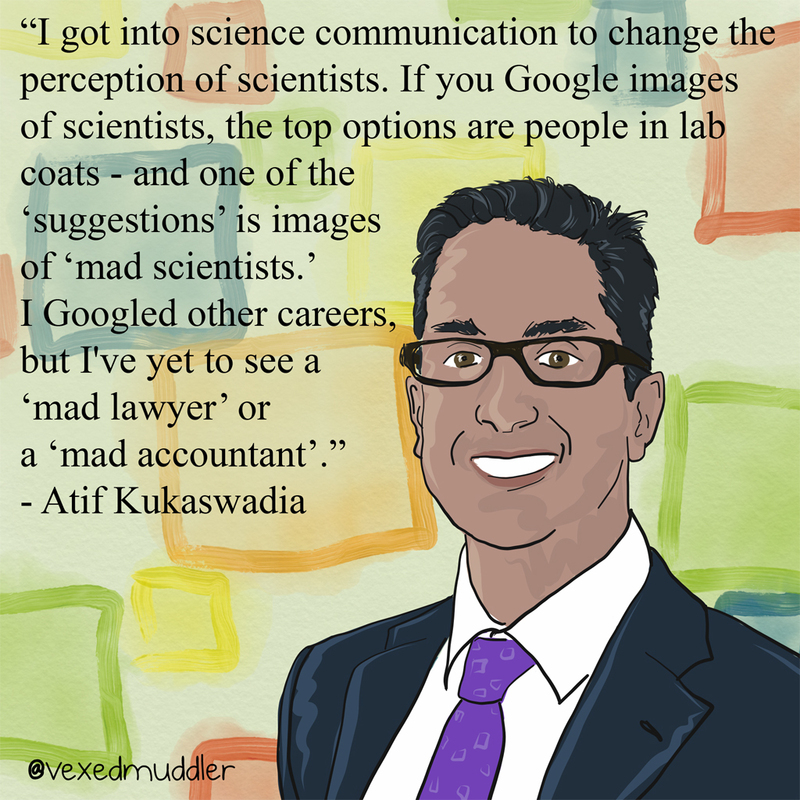 If you Google images of scientists, the top options are people in lab coats – and one of the “suggestions” are images of “mad scientists.” I Googled other careers, but I’ve yet to see a ‘mad lawyer’ or a ‘mad accountant’.” – Atif Kukaswadia, Epidemiology researcher and writer. Originally posted on September 11, 2016.